Millions of patients suffer from debilitating conditions such as fibromyalgia, chronic pain, anxiety, or severe insomnia where traditional pharmaceutical therapies have unwanted side effects or are simply not effective. Medical marijuana, is a natural product that does not need to be smoked, and has been shown to be effective in alleviating pain and suffering for many medical conditions. Dr. Matthew Mintz, located in Bethesda, Maryland, is a certifying provider by Maryland Medical Cannabis Commission (MMCC) and one of the very few physicians in the state that can issue a letter of recommendation for qualifying patients to receive medical marijuana that live in Bethesda, Potomac, Rockville, Chevy Chase, or anywhere in the State of Maryland. Dr. Mintz can evaluate and, if appropriate, issue a letter of recommendation the same day or next day. The Rise Dispensary is conveniently located in Wildwood Medical Center where Dr. Mintz practices. Medical marijuana (also called medical cannabis) is marijuana and related compounds that physicians can recommend to their patients to treat certain medical conditions. Though marijuana is considered illegal in many countries, some states in the US have passed laws that allow for the use of medical marijuana for certain disorders where medical marijuana has been shown to be of benefit. Medical marijuana can be administered through a variety of methods, including liquid tinctures, vaporizing, transdermal patches or sprays, pills, and even edible formulations. How can I get medical marijuana in the State of Maryland? Step 1: Register as a patient with the Maryland Medical Cannabis Commission (MMCC). Registration is free and will take only a few minutes. After patients have completed the online registration they will receive verification along with their MMCC patient ID number. For more information about the process, go to MMCC’s website. Step 2: Obtain a written certification from a provider registered with the MMCC. Once registered, patients must obtain a valid written certification from a provider registered with the MMCC, such as Dr. Matthew Mintz. After a complete and thorough evaluation, Dr. Mintz can approve medical cannabis as a treatment option if he determines a patient has a qualifying medical condition. Qualifying medical conditions include cachexia, anorexia, wasting syndrome, severe pain, severe nausea, seizures, severe or persistent muscle spasms, glaucoma, post-traumatic stress disorder and chronic pain. 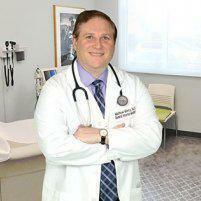 Dr. Matthew Mintz also specializes in pain management. Step 3: Visit a licensed Maryland dispensary. After registering and obtaining a valid written certification from Dr. Mintz, patients are able to visit licensed Maryland dispensaries to purchase medical cannabis. While there are several dispensaries throughout the State of Maryland, Rise Dispensary is conveniently located in Wildwood Medical Center where Dr. Mintz practices. How much does it cost to get medical marijuana in the State of Maryland? Registering as a patient with the MMCC is free. The cost of the product is determined by the dispensaries and depends on how much you get and what formulation. Costs can be high and can start at $150 for a 30 day supply, though the price is expected to drop as more marijuana dispensaries open across the state. If you are a member of Dr. Mintz’ concierge practice, the cost of the appointment and letter is free. If you already have a physician, and only wish to see Dr. Mintz for an evaluation and written certification, the 30-60 minute evaluation and certifying letter is $250. While this fee must be paid at the time of the visit, Dr. Mintz will generate an invoice that you may submit to your insurance company. If you have commercial insurance (CareFirst, United, Aetna, etc. ), though Dr. Mintz is an out-of-network provider, your insurance will usually reimburse some or most of the fee when you submit our statement to your insurance company.